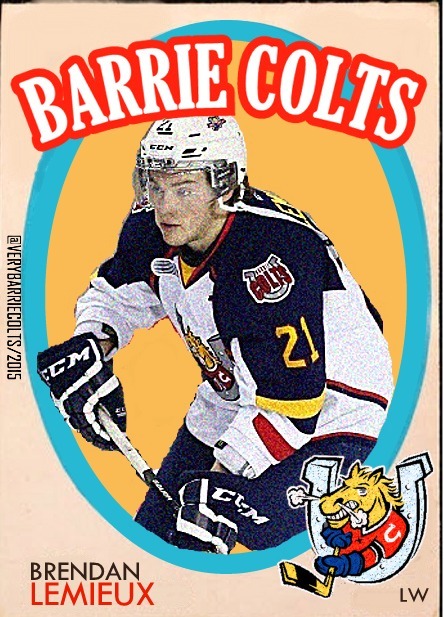 A Very Barrie Colts Weekend Recap/News (Nov 20th-23rd) #OHL - Very Barrie Colts | A website covering the Barrie Colts of the OHL. The Barrie Colts went a perfect 3-0 over this past weekend. They improved their record to 15-7-0-0 on the season. The wins would give them a 7-3-0-0 record in their last 10 games and also increased their lead at the top of the Central Division. They have a 4 point lead over the Mississauga Steelheads with 3 games in hand. The wins also have tied them for first in the Eastern Conference with the Kingston Frontenacs. This weekend also saw the Colts in Flint for the first time since the team relocated from Plymouth following last season. The Colts 4-1 win over Sudbury was their 3rd win over the Wolves this season and the 11th straight win over Sudbury in the regular season since the start of of the 2014-15 season. Sudbury managed to get on the scoreboard first but it would be all Colts after that. Kevin Labanc would score 2 on the night while Josh Carrick would would score the game winner early in the second period. The goal was Carrick's first on the season. Julius Nattinen would also score his 8th goal on the season. Andrew Mangiapane got a pair of assists. Barrie continues to roll on the penalty kill. They killed off all 4 Sudbury man advantages and managed to go 1 for 3 on the power play. Mackenzie Blackwood saved 30 of 31 shots faced. 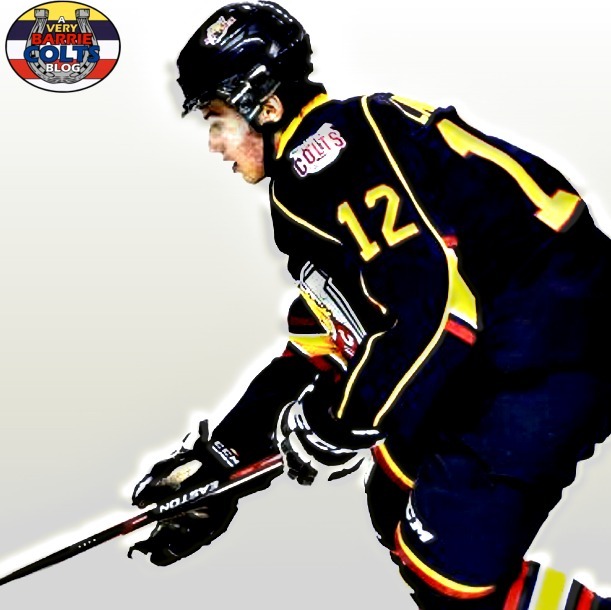 In an effort to remain consistent, the Colts defeated the Flint Firebirds 4-1. Brendan Lemieux was a horse in this game scoring a hat trick on 6 shots. His final goal was an empty net goal on a Labanc assist. Can't help but assume it was a thank you for Lemieux feeding the puck to Labanc for an empty net goal in the previous game? Ben Hawerchuk also scored his 6th goal on the season in the win. Special teams played no role in this game. The Colts managed to kill off both penalties and were unable to capitalize on their one power play. Once again, Blackwood made 30 saves on 31 shots. Minus who scored the goals, this game heavily resembled the previous effort against the Wolves. Strong team effort. Dylan Sadowy would make it tight towards the end of the game but it would not be enough to snap the Colts win streak. Nattinen scored first for the Colts, Labanc scored a pair and Lemieux scored a late clinching goal. Ultimately the game winner was scored by Cordell James short handed in the second period. Blackwood was kept pretty busy in this game making 39 saves on 42 shots. Barrie also managed to kill off all 6 penalties successfully. VS Owen Sound Attack on Thursday, November the 26th at 7:30pm. @ Kitchener Rangers on Friday, November 27th at 7:30pm. VS Niagara IceDogs on Saturday, November 28th at 7:30pm. 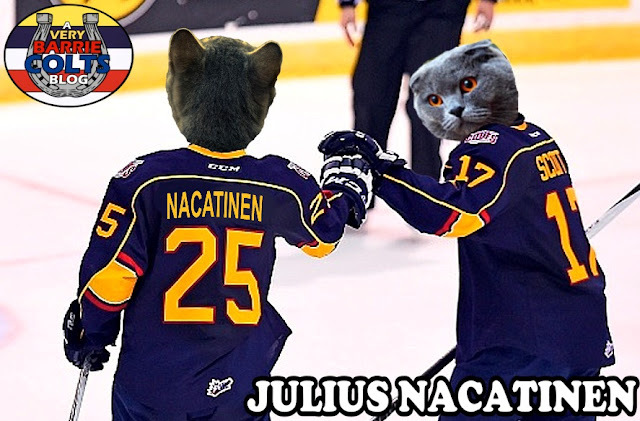 We added Julius Nattinen to the 'Colts as Cats' page! Check him out and the rest here!